Where can you stream Black Monday? On 2019-01-20 Comedy TV Series Black Monday first aired on Showtime. 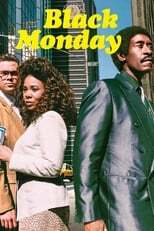 Written and created by David Caspe & Jordan Cahan, and produced by Showtime Networks & Sony Pictures Television, Black Monday will return and was last broadcasted on 2019-03-31.